Discussion in 'Muppet Headlines' started by RealWonderman, Feb 21, 2018. In this day and age I think more and more people want shows with more character development and heavier story arcs. I mean, kids cartoons are becoming more complex and arc heavy, we're even starting to see it a lot with comedies such as The Good Place, Last Man On Earth, and Unbreakable Kimmy Schmidt. Not to mention, variety shows are few and far between nowadays, and the ones that have existed recently haven't done so well (aside from SNL). So, i'm not saying that they should have 13 dramatic episodes where they ban together to defeat some big bad, but what i'm saying is the show needs to have more fleshed out plots, slightly more character development, and maybe an episode every year that changes the status quo just a little. Yeah exactly! That’s what I was going for in my post. If they were to have the right amount of comedy and drama, then it could probably work then just focusing on heavy adult themes like they tried to do in the 2015 show. And it's weird 'cause ABC's other comedies weren't even like that! Of all the shows they would try to make adult (i.e. snarky and sexual) who decided it should be the Muppet one? What does everyone think the new series will be about? Will it lean more towards the 2015 ABC Series or go in a new direction. I truly hope Disney executives will brand The Muppets as a children's franchise. I do have a feeling the show will be going towards a "family friendly" direction. It's not that they can't deal with it, some people just aren't into that kind of humor. They are fine to be family-friendly but they should not be aimed at kids. 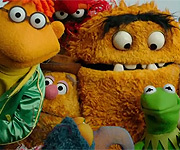 Henson did not want The Muppets (Classic Muppets) to be branded as kid`s entertainment. Sesame Street was his outlet for creating entertainment for children. The 2015 series did not bother me either, the characters were not too snarky or mature, however, the writing was not strong enough. The show improved in the second half of the season but audiences simply were not interested in the characters. oknazevad, Muppet Master, Prof Bunsen and 3 others like this. I think there's ways to do adult humor without it feeling too forced or risque. No offense to anyone who liked it but, to me it didn't even feel like the Muppets. The first few episodes felt more like some depressing parody of The Office. Prof Bunsen, LittleJerry92 and ConsummateVs like this. Disney's known for adult jokes so no surprise really. Hopefully, Disney will go with a more "mainstream, for-the-whole-family" type show, sort of like the Muppet Show. I definitely don't want it to be exactly like the Muppet Show, but I think they should borrow a couple elements that worked from the original and apply it to the new show. Honestly I think Disney learned from its mistake with the 2015 show and will take a more "appropriate" route. Well, in the end we have no idea what this show will be like, so all we can do is what. so all we can do is what. Many people don't understand who Jim Henson really was and why he wanted Muppets to be for both children and adults of ages. Adults should be allowed to like Muppets the same way children should. I feel like posting Jim Henson's documentaries to a One Million Moms website. One Million Moms should watch the 60-year old Wilkins Coffee commercials. oknazevad, Froggy Fool, Blue Frackle and 1 other person like this. I truly hope Disney executives will brand The Muppets as a children's franchise. They are fine to be family-friendly but they should not be aimed at kids. It should be a family franchise, not adult or children. Bliffenstimmers, Pig's Laundry and ConsummateVs like this. I'm a bit surprised while reading this thread how many people advocated piracy over purchasing Disney's streaming service. Seriously part of why the ABC show failed is not enough people watched it, or at least watched it through official channels. I sure can't say I'm crazy about the idea of paying for yet another monthly service, but I will be more then happy to if it means I get a new Muppet Show. The more of you that go and get the content from some torrent site or some illegal streaming platform the more likely that Disney is going to put the muppets away and we will never see them again. I have no problem overall with Piracy, and this is how you chose to view it then all the power to you, but if we are supposed to be fans and want more content we better show some support. This service is going to have New content from Marvel (Not including the Netflix shows which will be staying there), Star Wars and much much much more. Seriously if you can't spare $9.99 a month, or whatever they're asking you may want to reconsider what you are spending that causes it to tax your budget. scooterfan360, Phillip and MuppetsRule like this. Having worked in Hollywood as a producer for years for companies like Warner Brothers, Fox, CBS and many more, I can tell you that you are far better off paying for a service from Disney then really anyone else. Disney is a well run competent organization, who just dose for the most part things correctly. I do think they are about 10 years too late to this pay for service model and would be better acquiring an existing service like Hulu (Which they own something like 75% of) or keeping with Netflix, but these are the cards. With the acquisition of fox, you will have close to a million hours of content at your hands. The numbers I've heard for what they are proposing to charge is in no way 20 quid either. Plus you're in an international market, Disney hasn't even begun to say if or when they are launching outside of the USA, so maybe Piracy is your only option, but I'd guess similar to Star Trek Beyond, it may be on one of your existing platforms or even broadcast in the UK. 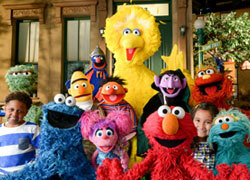 The main reason why Sesame Street is now on HBO is that we were not supporting them enough to keep it going. These shows are very expensive to produce, they are a product, not art, Seaseme Workshop was very close to shutting down due to that factor. Now the numbers Hollywood try to say they lose due to piracy each year are crap, as they would match the GDP of at least the UK, Austraila or Canada. They even said that it costs 3 times the amount of jobs Hollywood actually employees. But show some support even if it is a few quid. Muppet Master, Prof Bunsen, LittleJerry92 and 4 others like this. I think the difference with a Streaming service where the company that owns the streaming service and they also own the rights to that said show or movie vs A show on a network that doesn't own the shows rights. The Streaming service can see first hand how many people are watching each show and movie. the Nielson Ratings system is flawed at least how they used to rate TV and movies and sports. most people In America were not taking part in Nielson Ratings may be like A thousand or so people if that where as Millions watch TV in one night like a particular show so most Americans were not accounted for in the old Nielson Ratings system. Now with Streaming TV, On Demand services and DVR systems calculating what people watch these days is way more accurate. this new way to calculate what we are watching gives shows we like a better chance of sticking around if enough people watch it. what I wouldn't give to have new Futurama on streaming TV but I am excited to have a New Matt Groening show, Disenchanted on Netflix! I am really excited for new Muppets may be even new movies FINALLY!! !